If people still can’t get it right after you’ve color coded and labeled your trash cans to death, then what’s a designer supposed to do? Come up with an even better trash can in the form of GO Recycle. 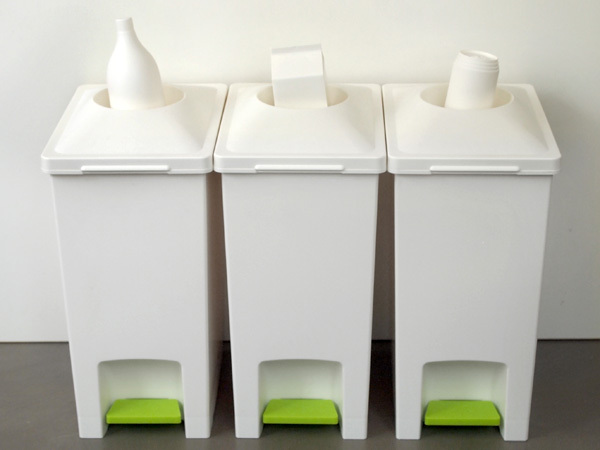 The lid of each bin actually has a molded sample of what you’re supposed to throw in them. Of course, it would help if they still had their labels (or were actually made out of glass, paper and metal,) so the lids would only serve as an additional guide to help out trash throwers who aren’t sure which bin their garbage is supposed to go in.